awards | true life is stranger than fiction.. I haven’t been keeping up with the awards lately. A few very nice people nominated me last fall, but I never got around to fulfilling the criteria due to my issues. 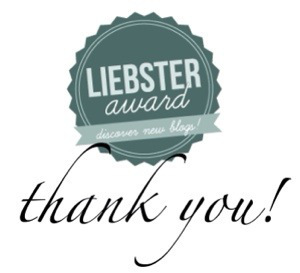 But today a gentleman at one of my favorite blogs sent me the Liebster award, and I happened to be sitting in front of the computer when he posted it. This blog was one of the first I came across when I was possibly? diagnosed with sarcoidosis. Just the title, Life With Sarcoidosis, pretty much explains it all. His posts are informative and funny. So thank you, Basil. I basically write for myself. Handwriting is so much more difficult with the fibro. Typing is much faster. But as a nurse I feel it is my duty to share my experiences and health knowledge. It helps me see perspective. I can go to posts a year ago and see how much better I am doing. I have “met” so many people from all over who are struggling with similar issues who offer support and it is amazing. With my family, although it causes some problems, I truly think that they never gave my particular point of view much thought before seeing it written in black and white. So it is definitely a beneficial thing. Given. I’ve been drawn to nursing for my entire life. And I have to believe that I’ve been “gifted” with this chronic illness in order to make me a more compassionate nurse. What you know in your heart is right. No illness? I don’t know. A place where everyone is responsible for themselves and has the ability to empathize with others. Who cares what others think. Write your world. Your perspective. It’s your blog.